Inspired by the magnetic Manhattan air and an eclectic mix of very interesting or inspiring people (VIP) who energise the party scene in New York, is the 212 universe created by Carolina Herrera de Báez. Creative director at Herrera’s House of Fragrances, she is the image for CH Carolina Herrera, lifestyle collection and an advisor to her mother, the legendary Carolina Herrera. In an exclusive interview with Verve, she talks about the latest member of the 212 family – 212 Rosé. 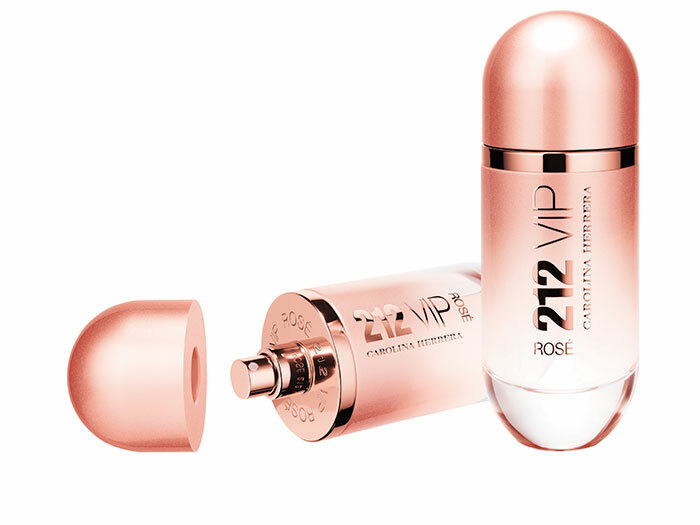 What would you consider the most unique aspect of 212 VIP Rosé? This latest fragrance continues to reinforce all the qualities of the 212 woman. 212 woman is beautiful, fun, full of energy and surrounded with friends. At the same time she is interesting, magnetic, sensual, feminine, alluring, a bit mysterious and terribly attractive. What would be the ideal outfit for the 212 VIP Rosé party? The ideal outfit for any party is one which the host asks you to wear. Then of course you can give it a personal twist that defines your signature style. How does a 212 VIP Rosé guest end the night? A good party always ends very late or very early the next day when the sun is coming up! I usually like to get something to eat with my friends after a great party so we can discuss everything. At the very beginning the pink champagne accord, gives the fragrance the bubbly, sparkling and festive ‘Rosé’ aspect. Then, the pink pepper berries provide a spicy aspect whilst the colourful litchee accord gives it a juicy fruity dimension without being too sweet. Finally, in the dry down, the Queen Wood accord brings vibration to the fragrance from the top to the bottom notes. This overdose of wood creates a real addiction, a memorable trail. Super model and actress Gisele Bündchen is the face of the fragrance. She reportedly had a great time shooting in Manhattan streets with a crew that comprised the who’s who from New York’s creative scene.